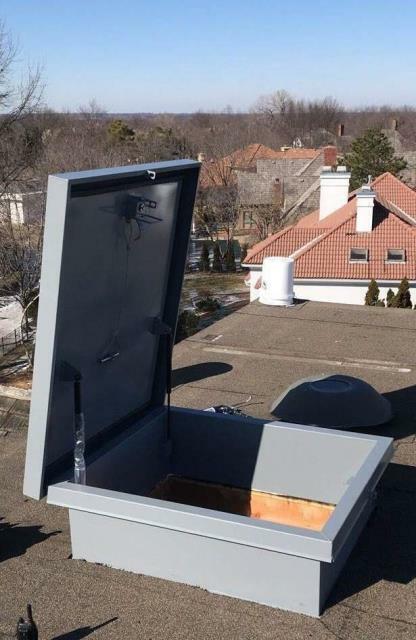 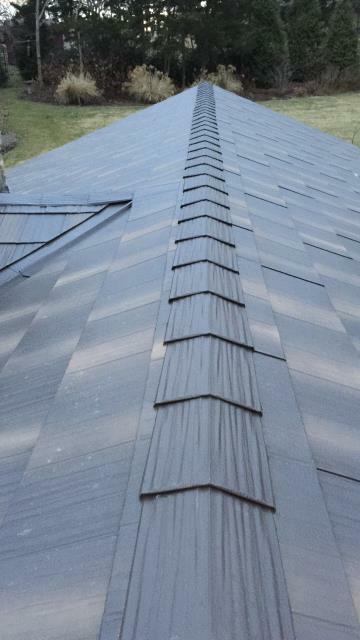 A roof hatch was added for easier access to a third story roof. 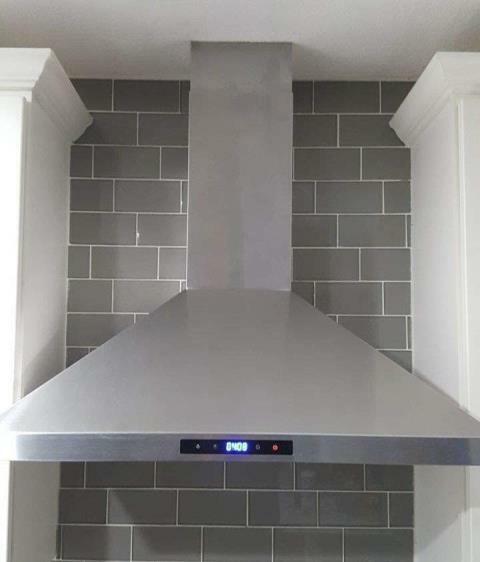 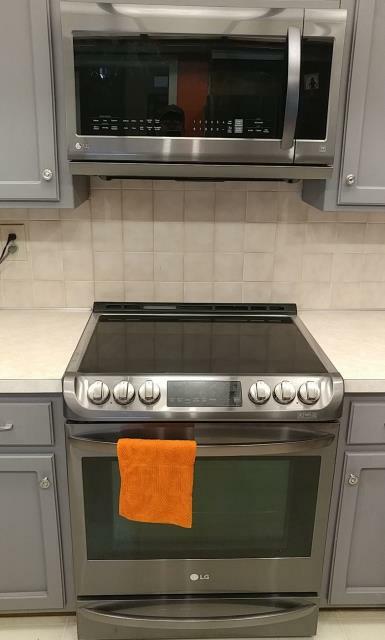 This kitchen remodel includes a wall mounted range hood and full wall, grey subway tile backsplash. 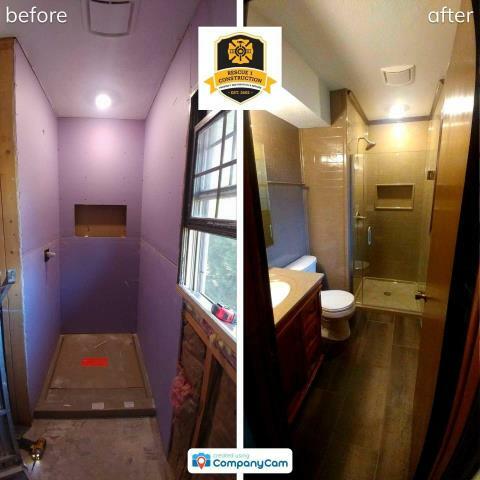 When renovating your bathroom, you can leave the original tub and just change out the tile surround. 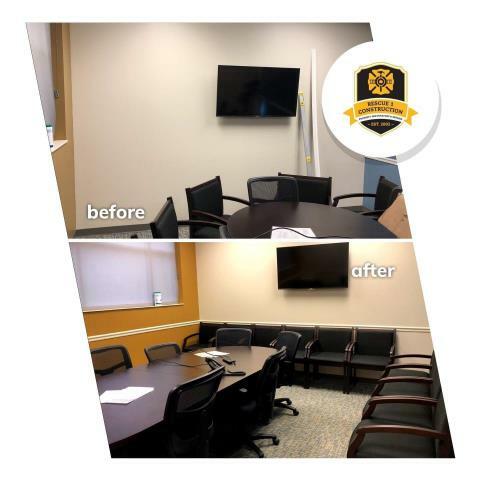 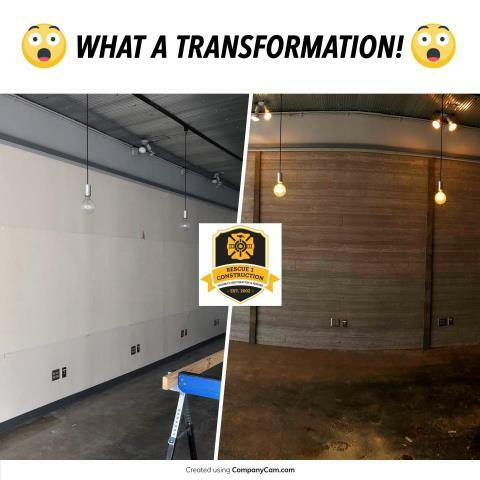 This was an amazing transformation. 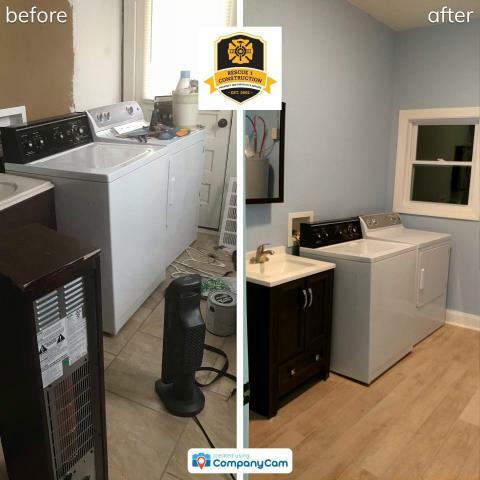 This laundry room received a major overhaul. 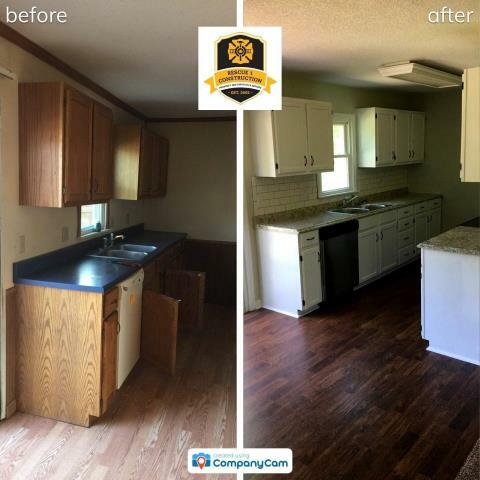 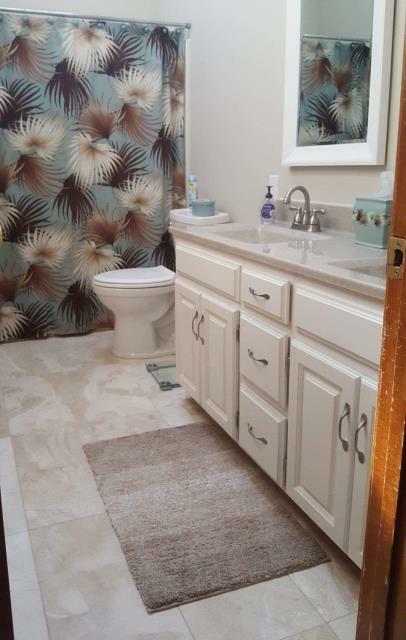 A door was changed to a window, new flooring, paint, and vanity. 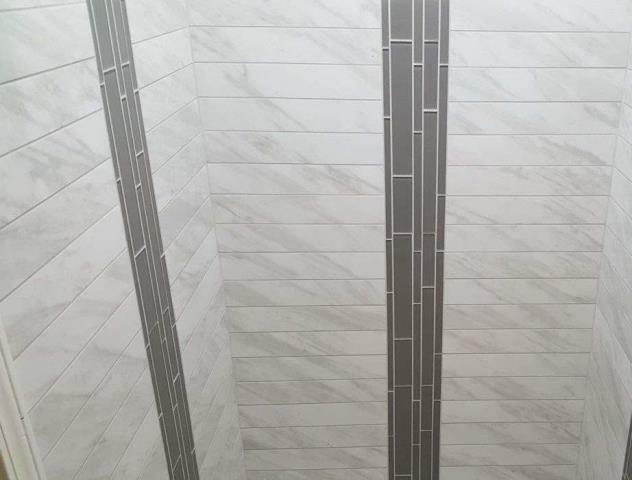 Setting the inlay tile above mid-line gives this shower a unique look. 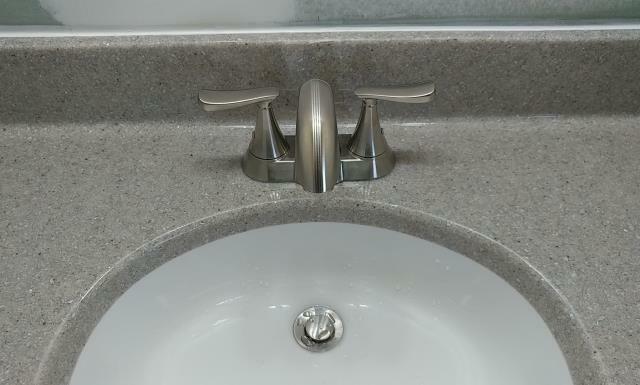 Built in shampoo caddies add design and function. 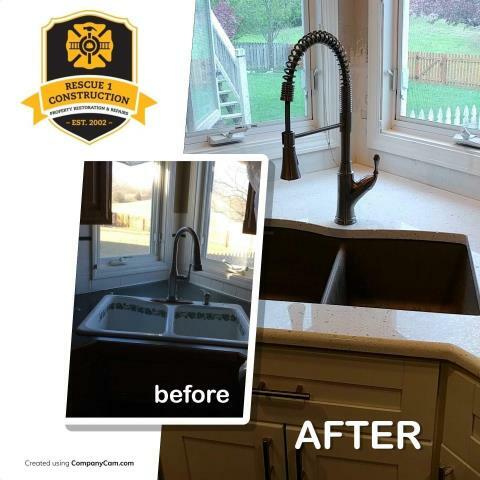 This kitchen features a VCCUCINE pull down faucet and undermount kitchen sink. 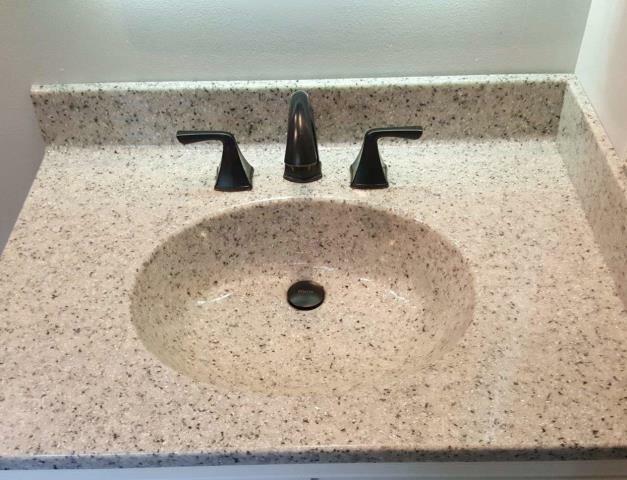 This vanity top has an oval shaped bowl and single handle faucet. 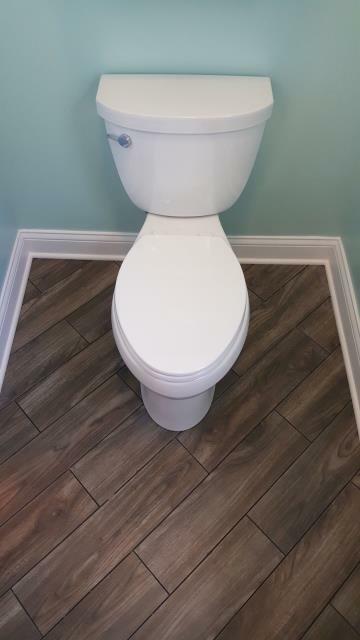 Onyx has many bowl styles, color options, and edge profiles to choose from. 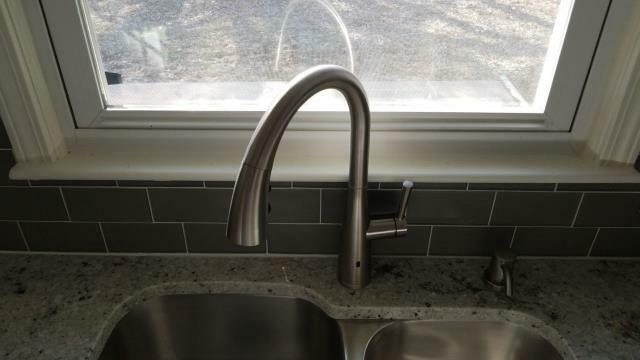 This is an Essa Single-Handle Pull-Down Sprayer Kitchen Faucet with MagnaTite Docking. 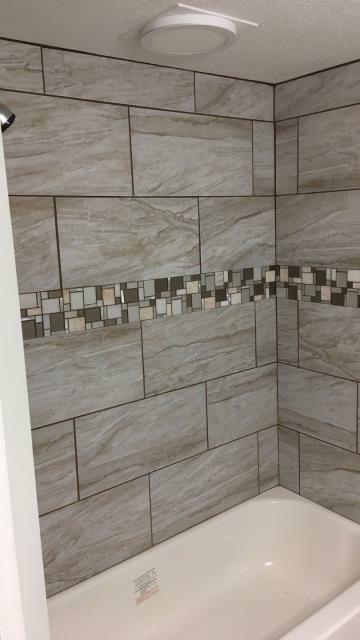 Instead of horizontal stripes, this shower has vertical inlay bands of glass tile.Use this idea in your next bathroom or shower remodel. 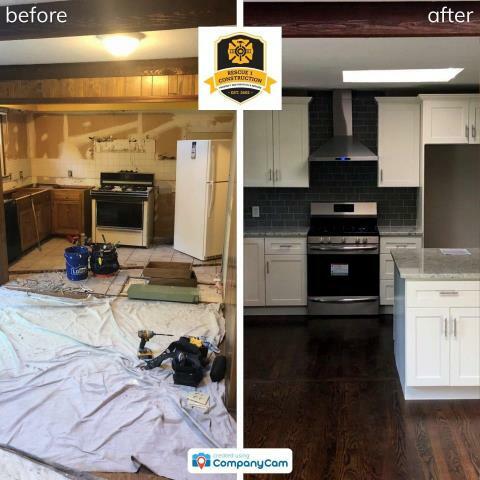 This is an amazing kitchen renovation. 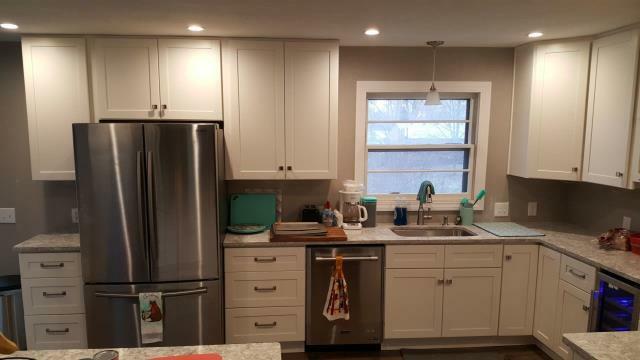 The stainless steel appliances, white shaker cabinets, and light counter top make this kitchen bright and inviting. 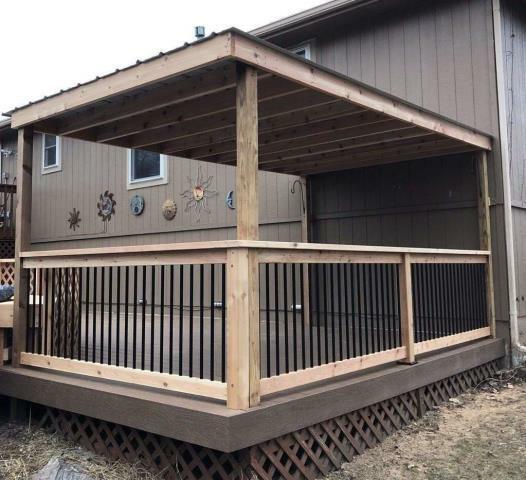 Having a covered deck can shield you from sun and rain. 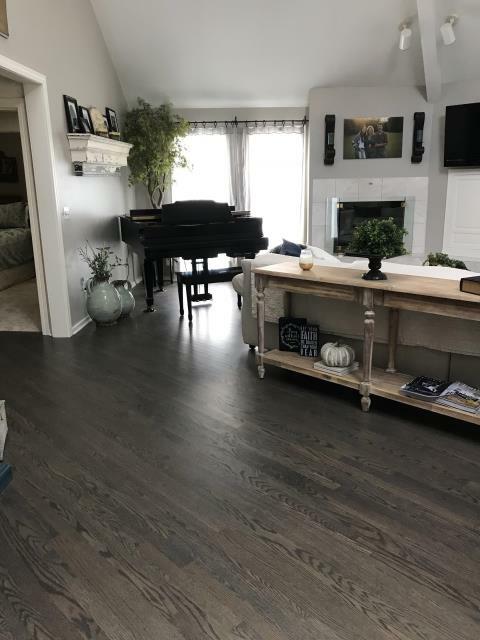 Using the same flooring throughout an open floor plan helps create a feeling of extra space. 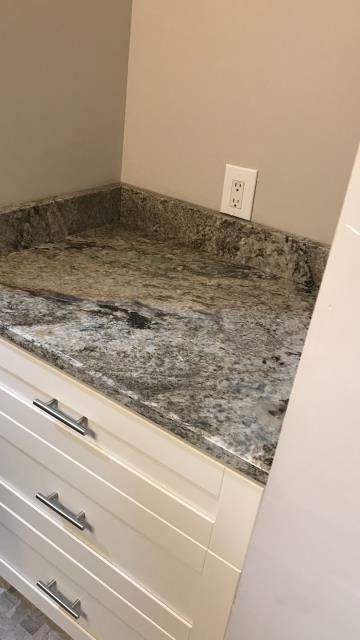 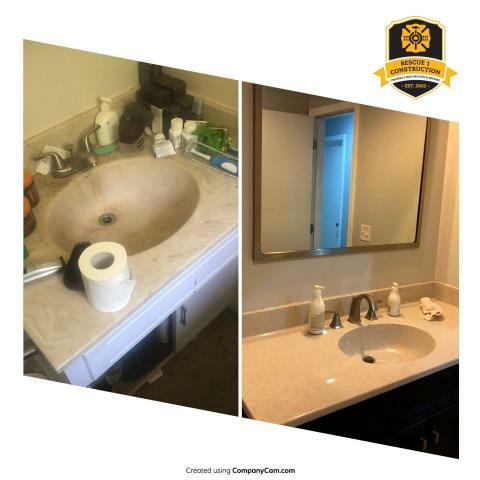 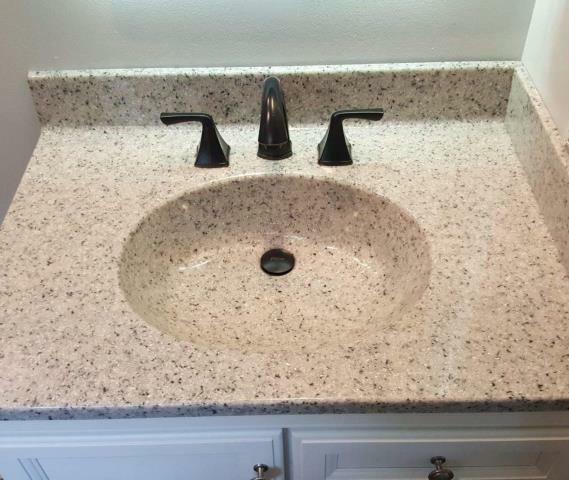 This is a colonial white, granite countertop from Legendary Stone installed in this bathroom. 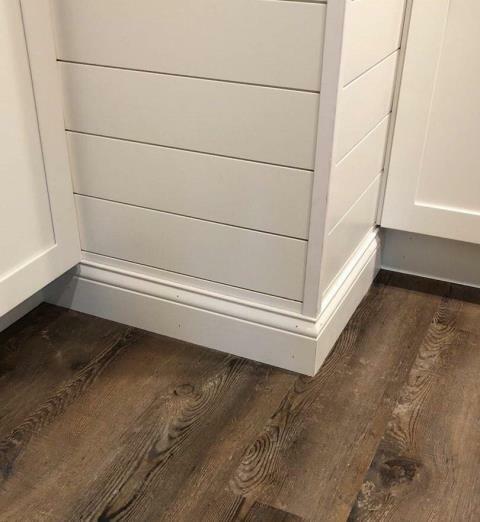 This kitchen flooring got upgraded to plank tile. 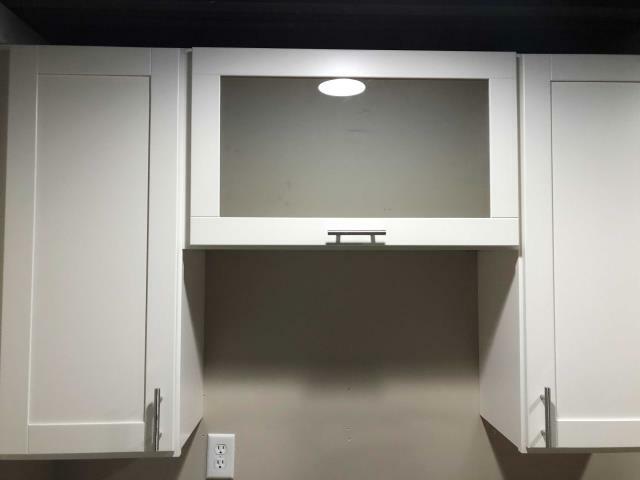 The under cabinet lighting reflects off the backsplash in this kitchen. 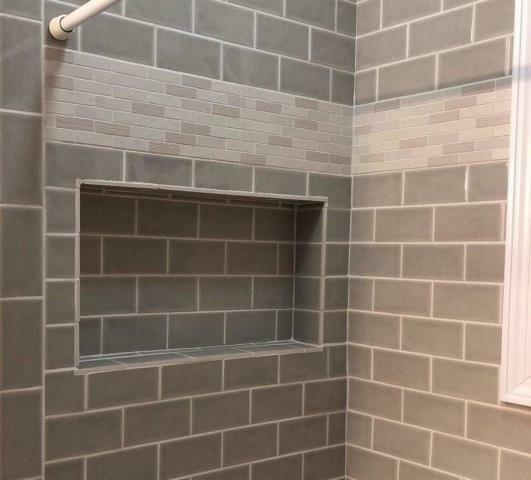 This shower insert from the Onyx Collection has a shampoo caddy built in. 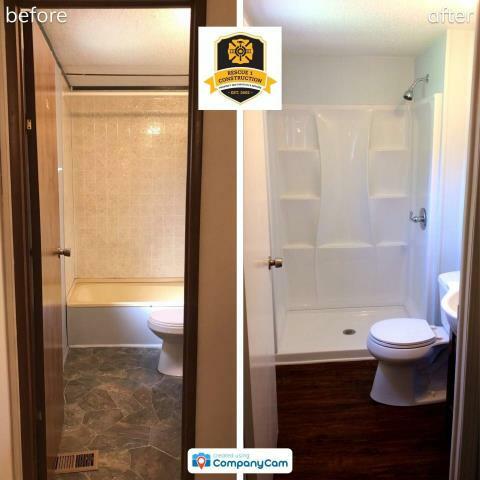 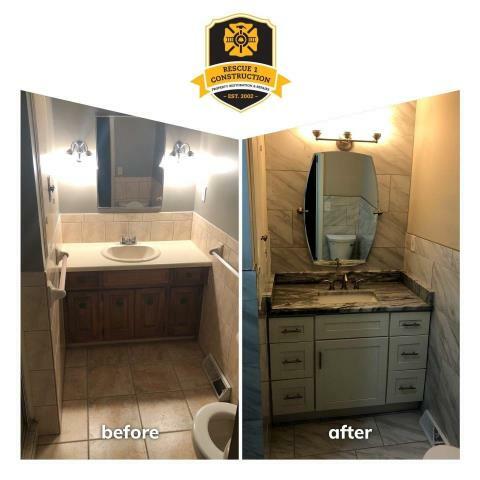 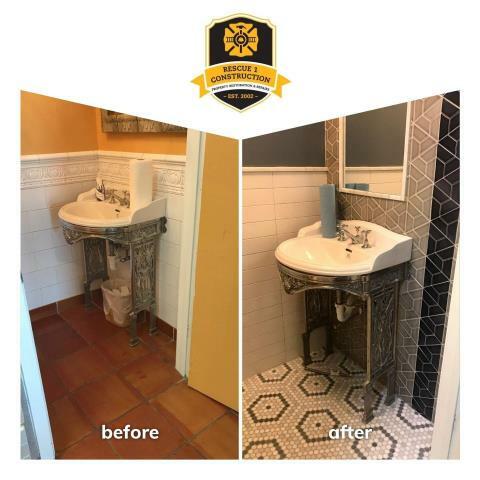 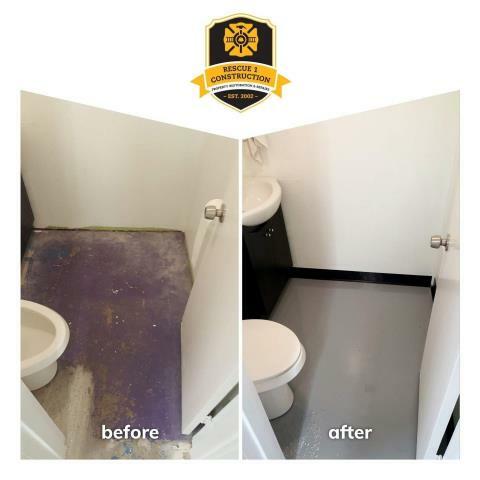 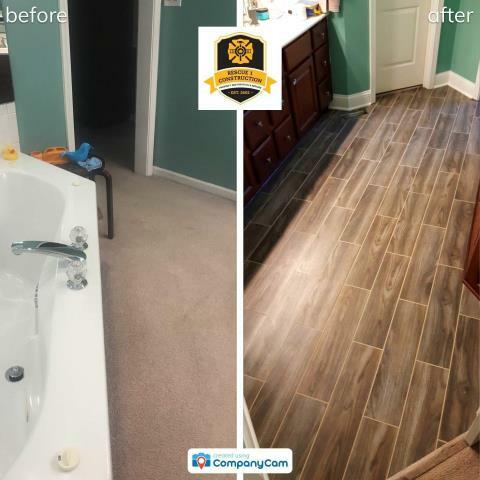 This bathroom remodel was a total transformation. 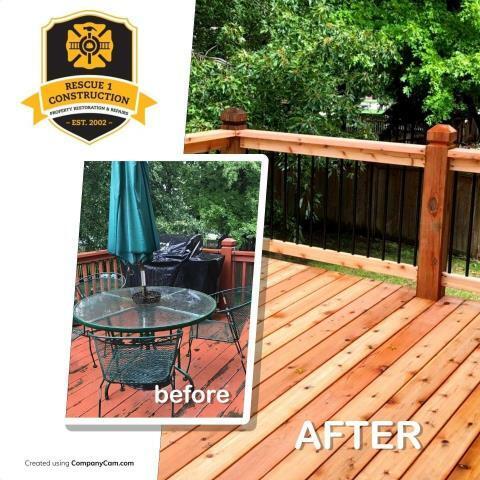 This deck has been totally redone, It is now made of composite decking. 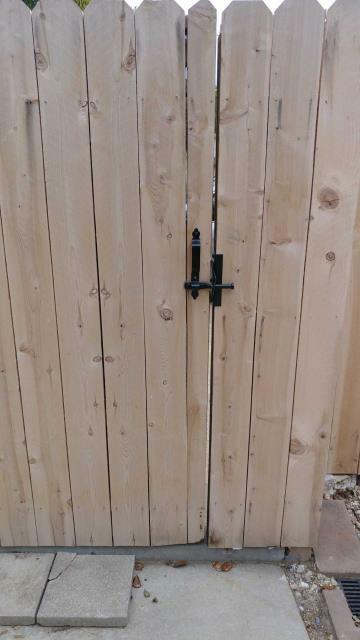 It looks like wood but is more durable. 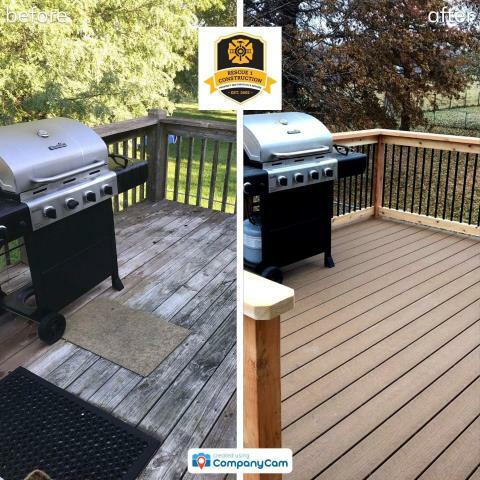 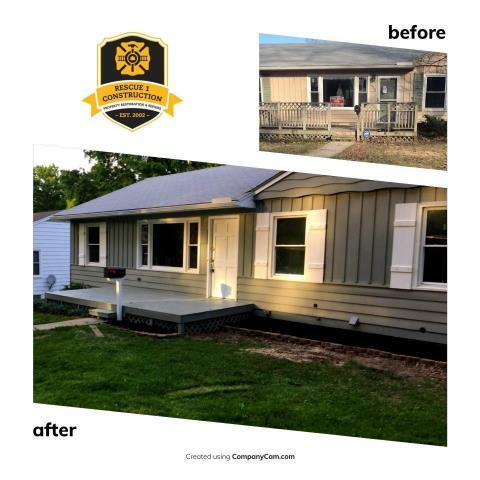 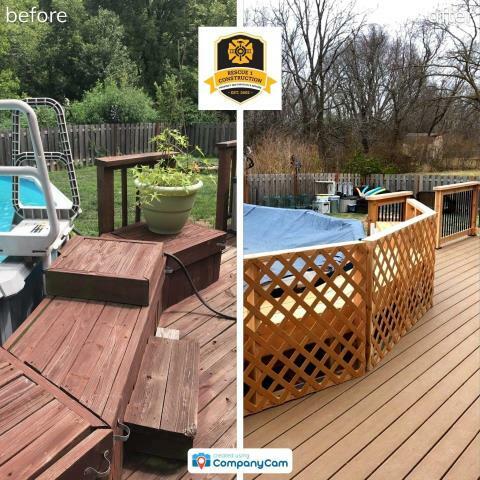 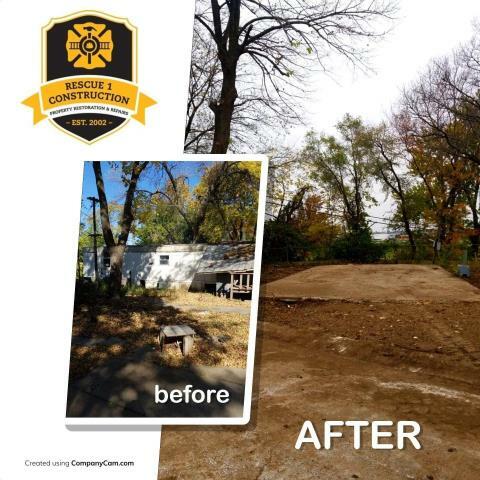 Beautiful deck transformation using composite decking. 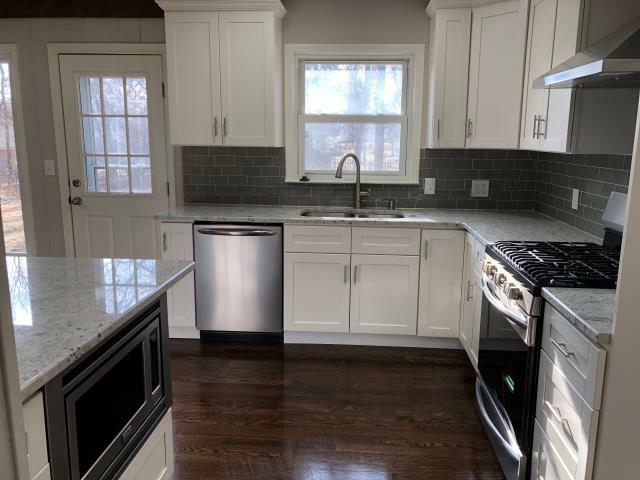 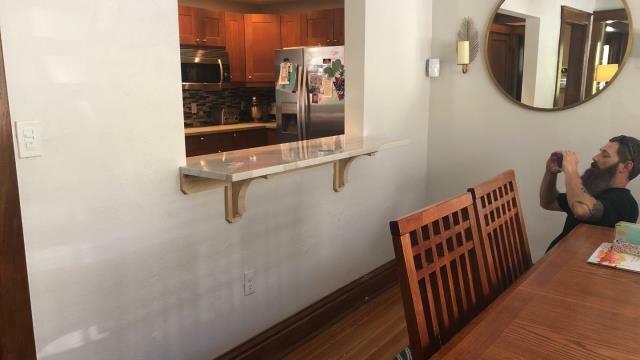 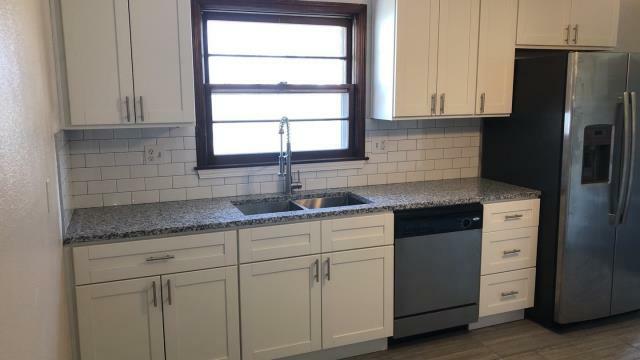 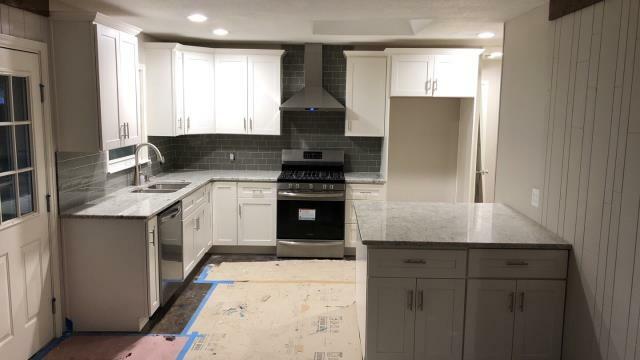 This kitchen remodel has a subway tile backsplash and a pull down kitchen faucet. 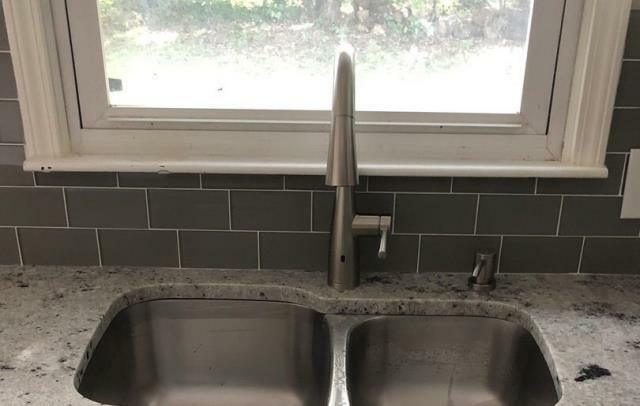 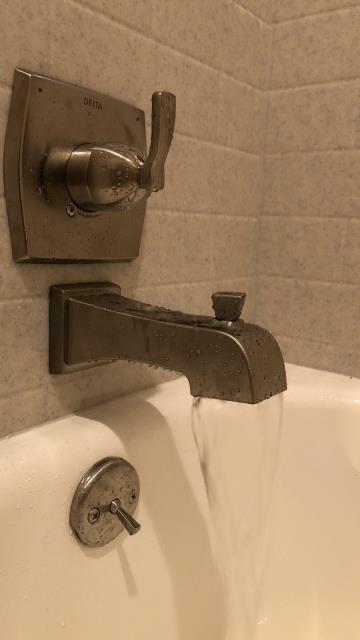 This bathroom remodel includes a Moen centerset faucet. 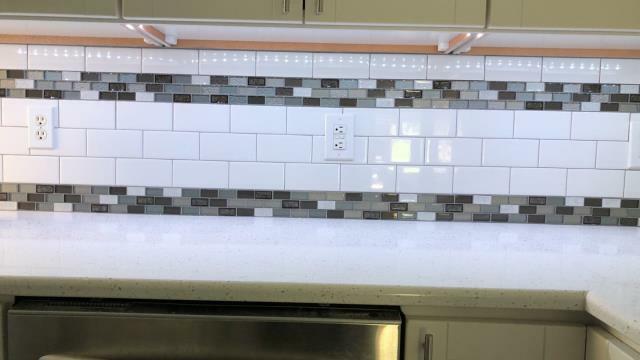 The design in this kitchen is subway tile with a mosaic tile inlay. 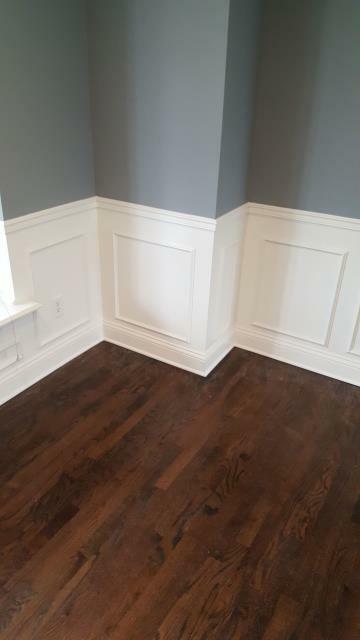 Wainscoting is sometimes used to make a space feel more formal. 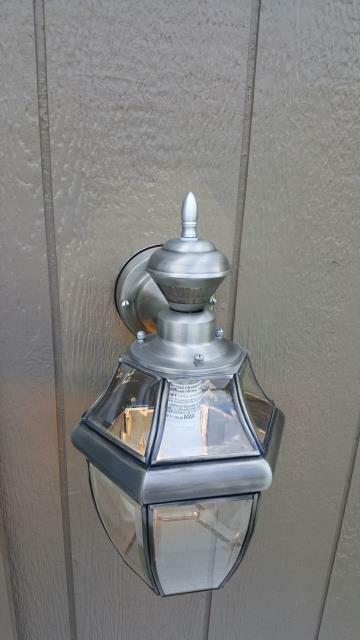 Updating your outdoor fixtures increases the curb appeal of your home. 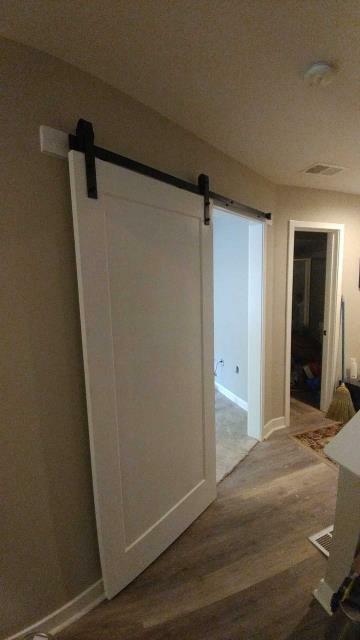 Barn doors can be great space savers. 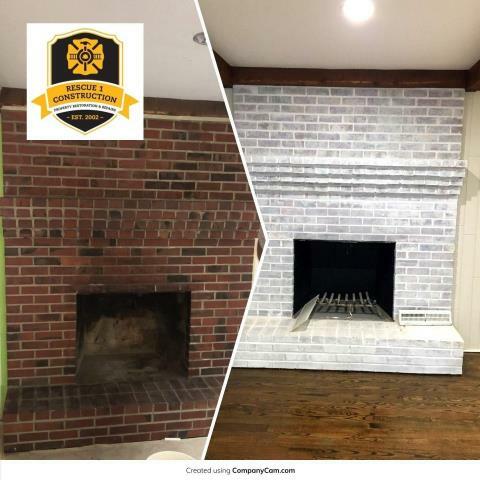 Whitewashing a brick fireplace adds new life to the room. 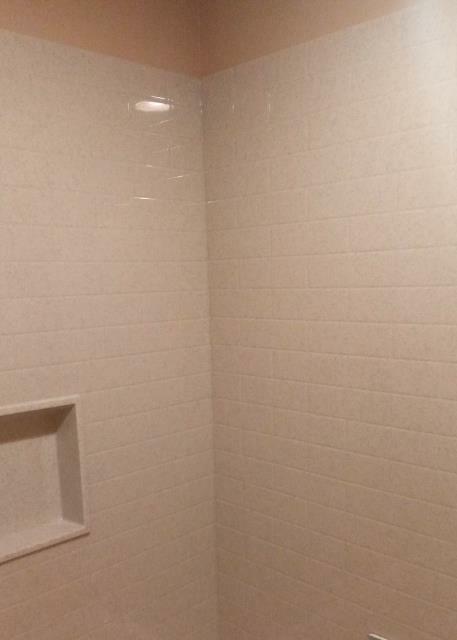 Doing tile on all the walls in your bathroom can make cleaning a breeze! 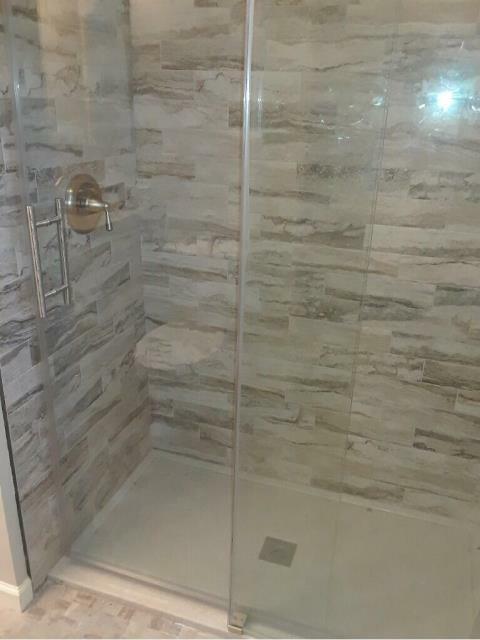 Rolling glass shower doors add more design to your bathroom remodel. 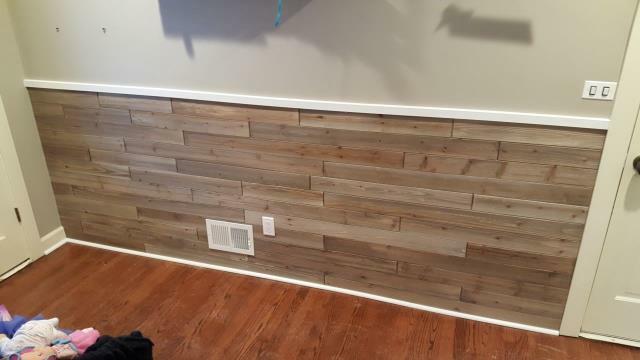 Adding wood paneling to the wall really makes this space interesting! 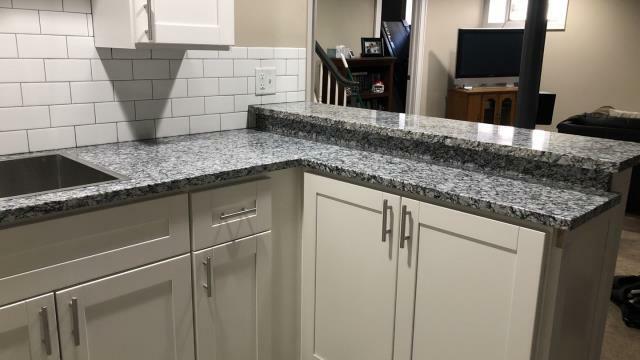 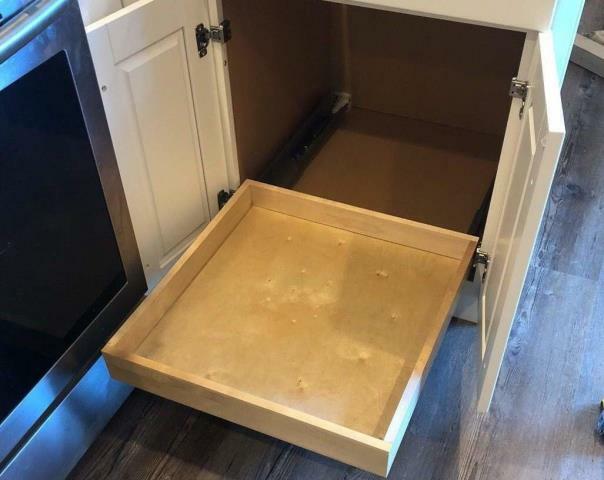 Adding an island in your kitchen increases storage and counter top space. 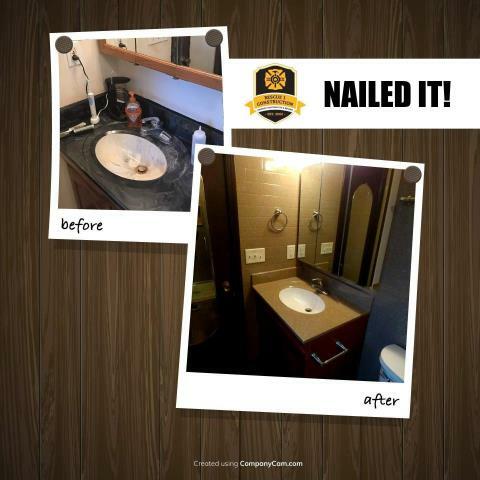 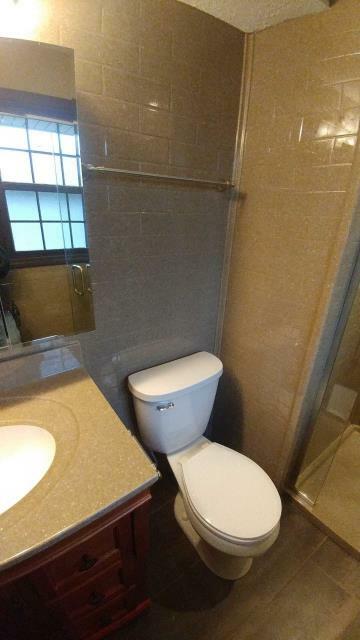 Updating the bathrooms in your home increases the value. 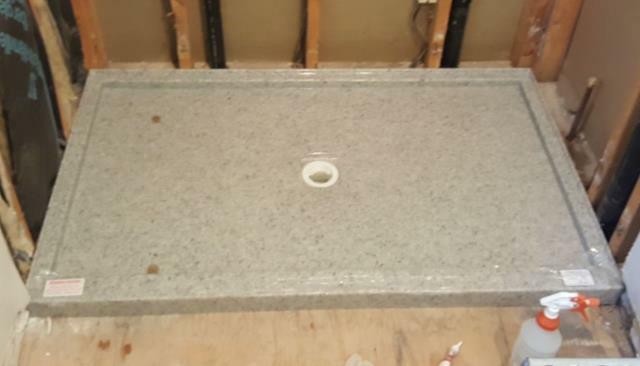 Updating to an undermount sink can make cleaning up your counters just a little bit easier. 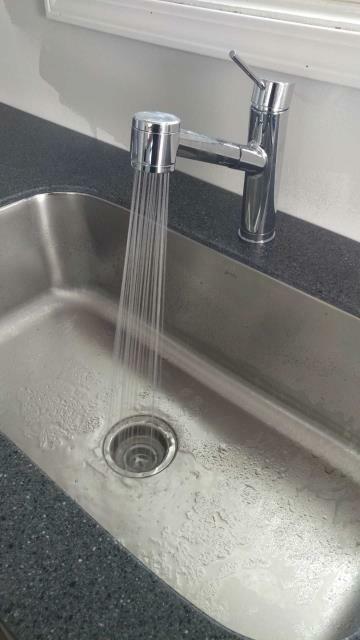 Beautiful new shower from The Onyx Collection. 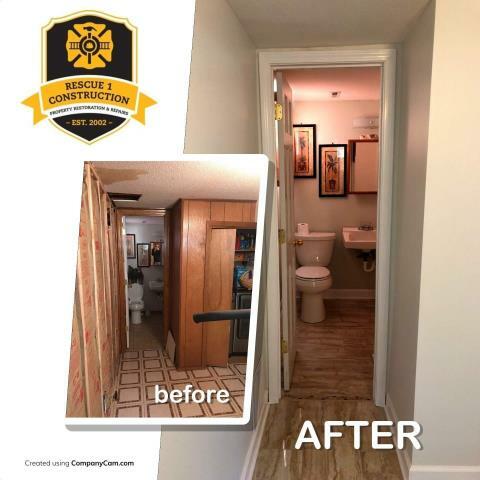 Bathroom remodels can increase the value of your home. 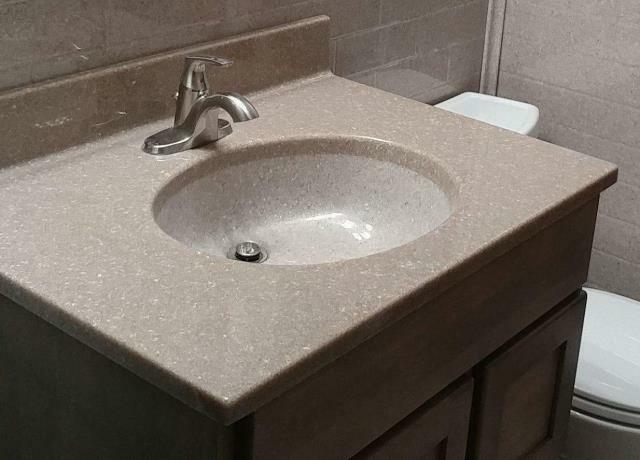 New single bowl vanity from The Onyx Collection. 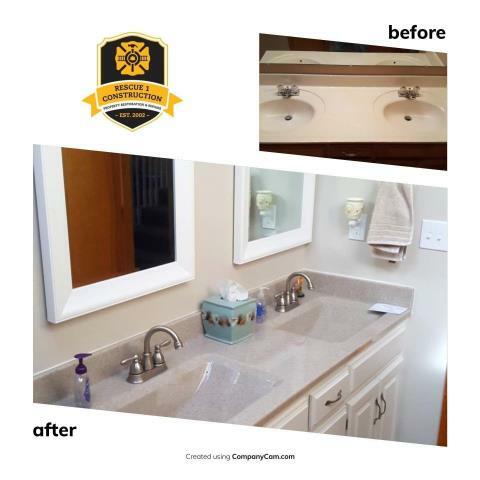 This is a great way to brighten and refresh a bathroom! 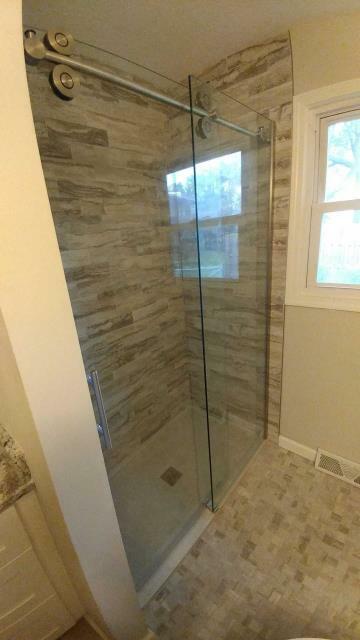 Glass shower doors are a beautiful way to showcase your newly tiled space. 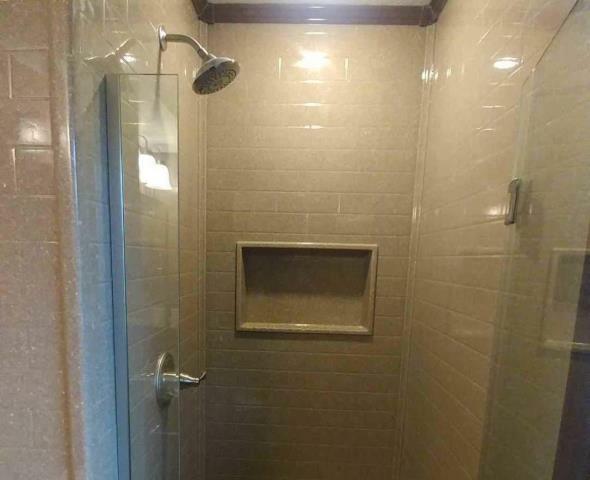 Be sure to install a proper shower base. 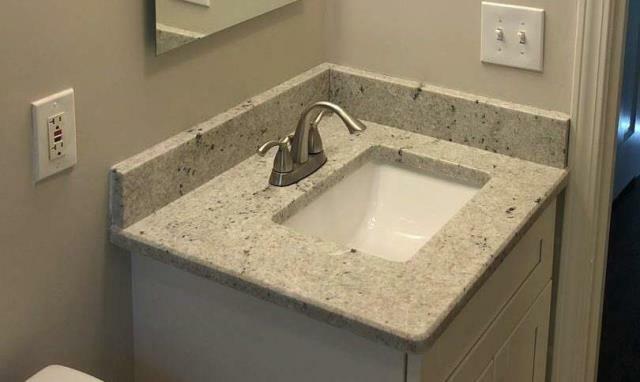 The Onyx Collection has a great many choices that are beautiful and long lasting. 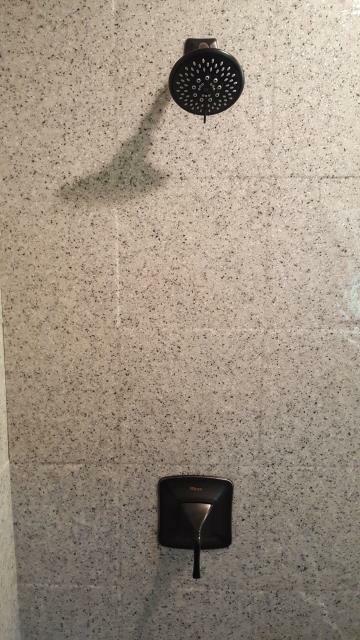 Onyx Collection provides many options for shower wall panels. 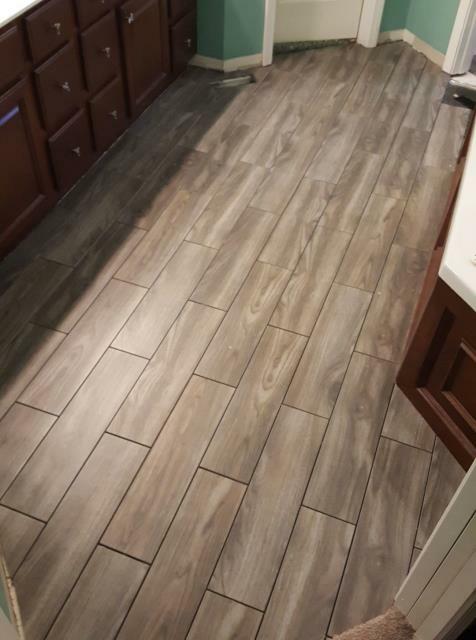 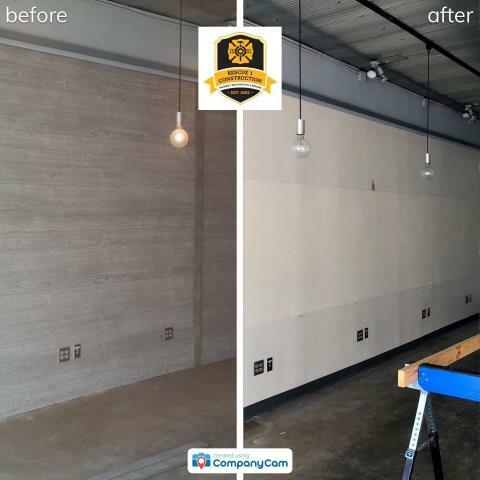 They are seamless so no grout is needed. 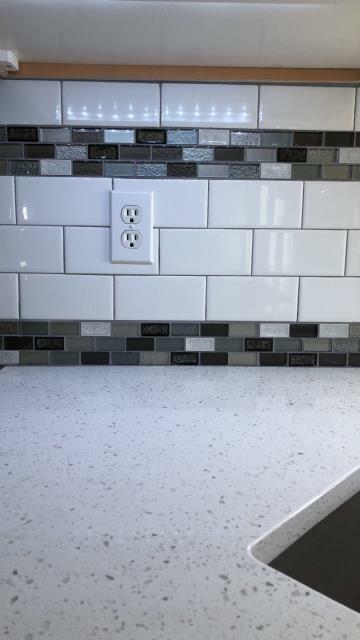 Adding a small 4" back splash is a nice transition between the countertop and wall. 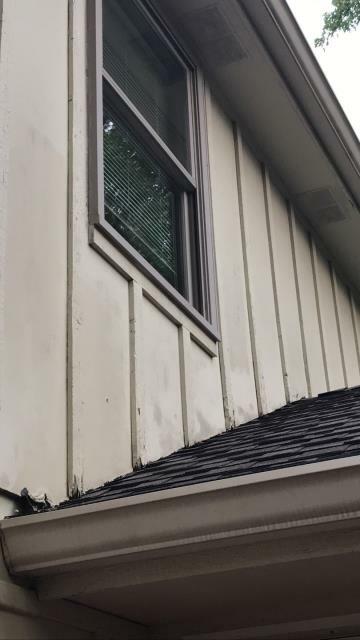 Seal the cracks after installation. 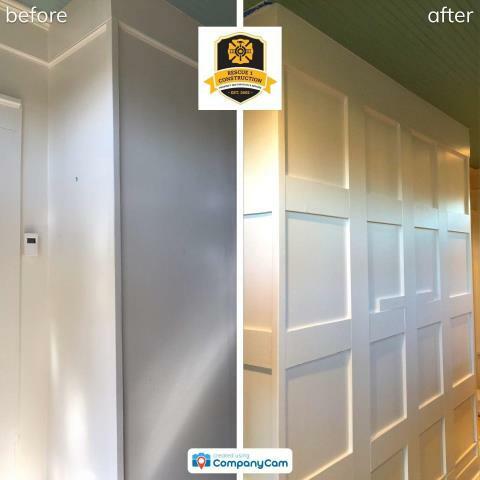 Dreaming of a new design for your home? 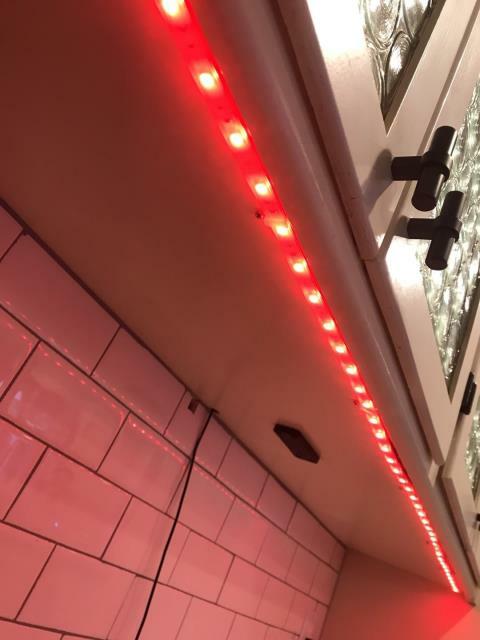 Go online for ideas and inspiration. 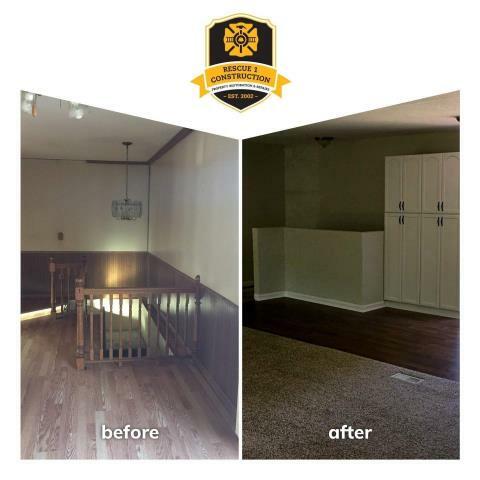 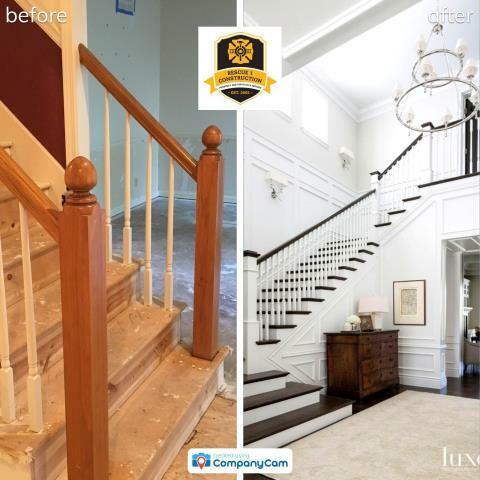 Here, a client wants to update a staircase and gave these photos as a reference of what they wanted. 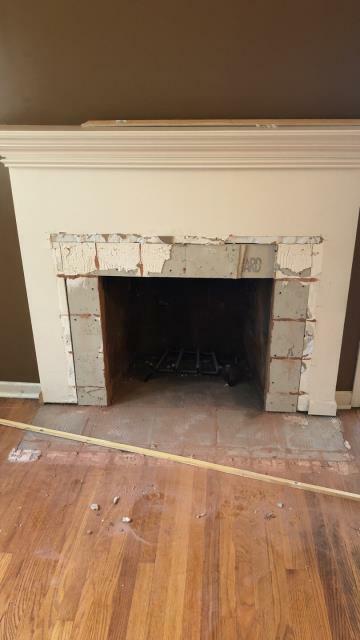 Need a fireplace update? 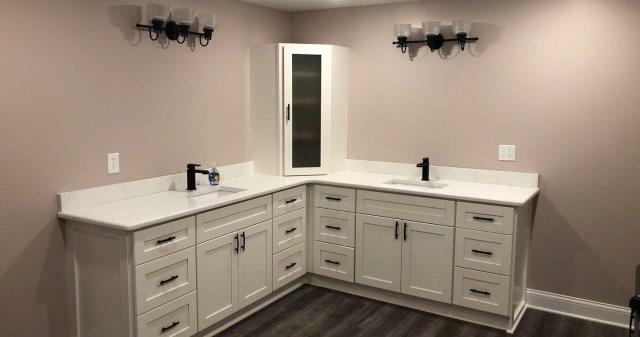 There are many options today for materials: stone, brick, or several different kinds of wood. 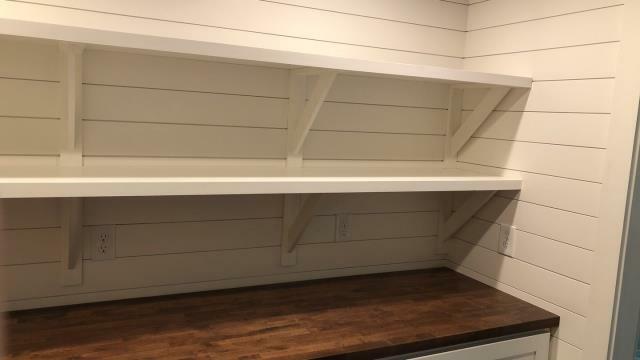 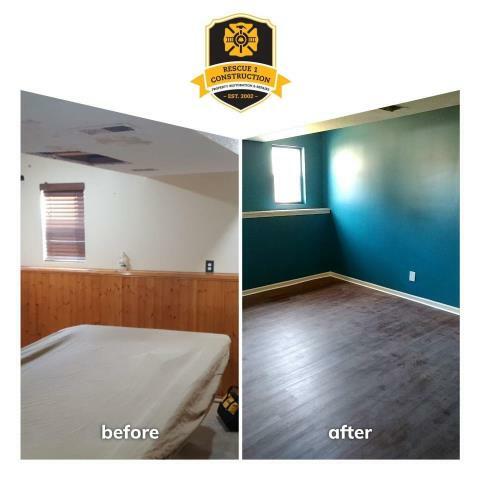 Reclaimed wood is an economical choice and can be used many different ways. 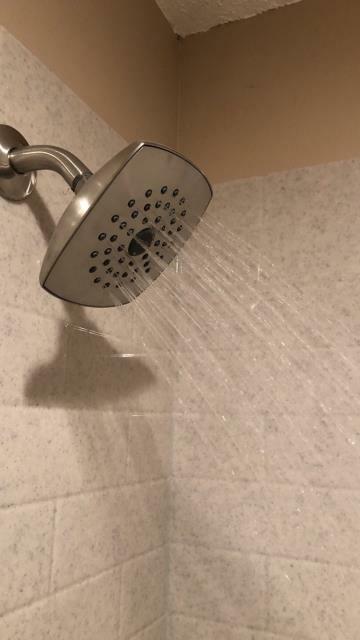 An easy bathroom update is to simply change out the shower head. 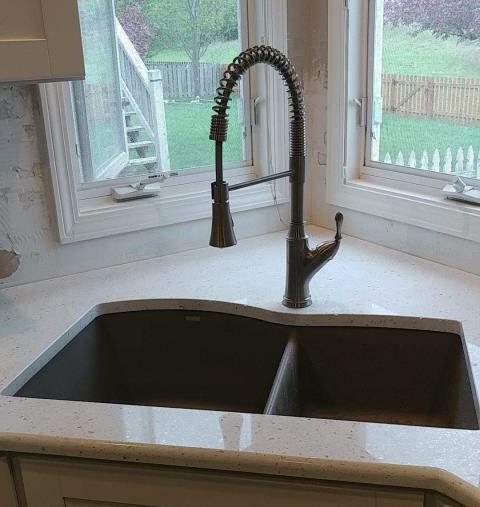 Choose from stainless steel, brushed nickel or chrome for a sophisticated look to fit many different styles of homes. 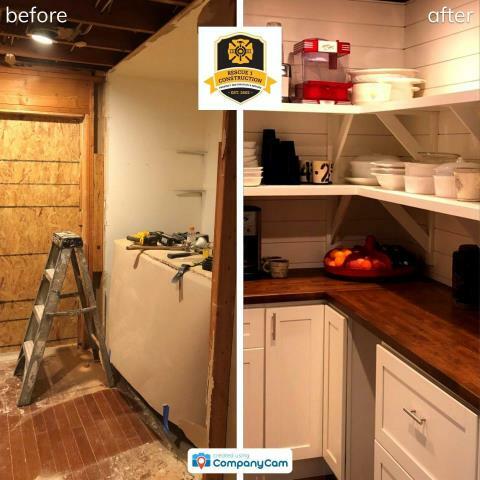 Sometimes a whole renovation is needed. 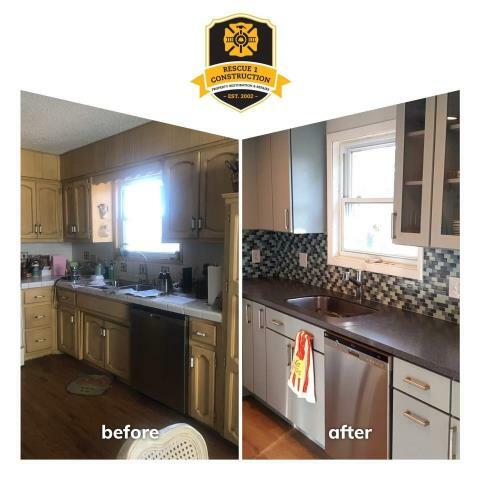 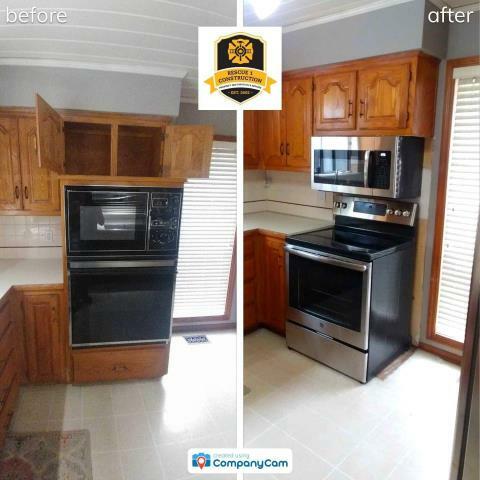 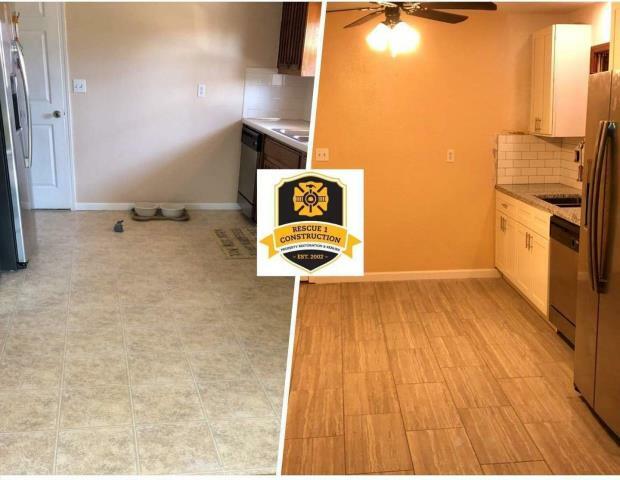 New cabinets, flooring, backsplash and appliances for your kitchen is a great investment for you that automatically adds value to your home. 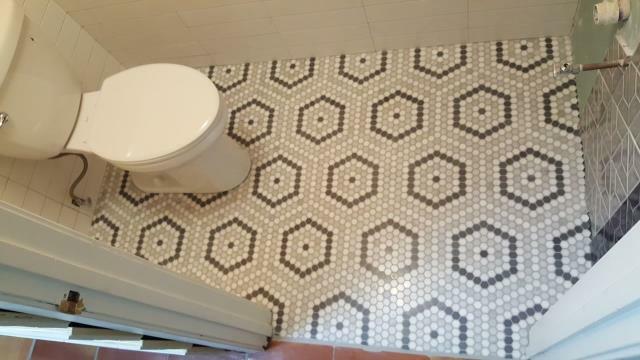 The right kind of tile can add a colorful and artistic boost to the rooms in your home. 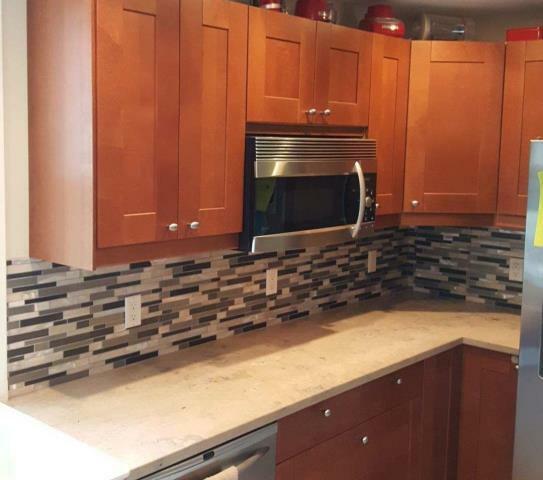 Tiles are an easy way to make an instant impact in kitchens, bathrooms, and more. 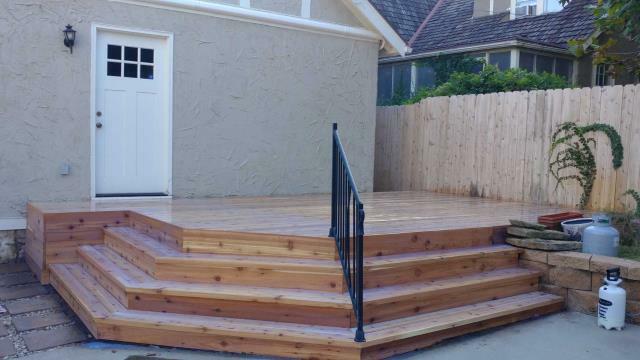 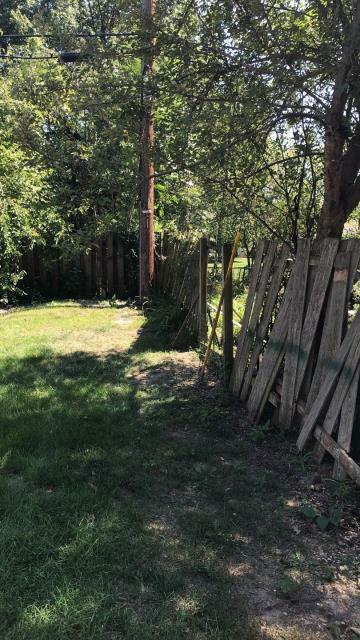 Be sure to properly install your handrails for safety and balance. 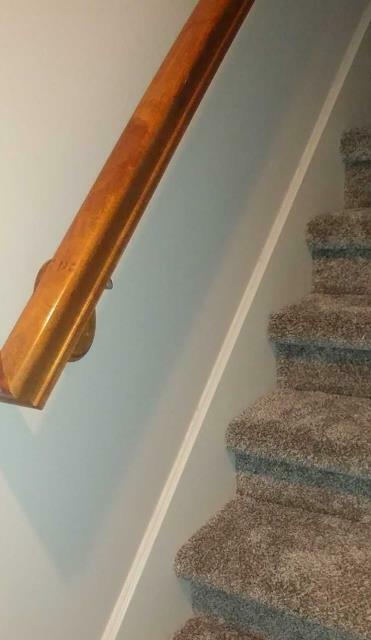 They also are a natural aesthetic in a home, especially when one chooses custom wood handrails. 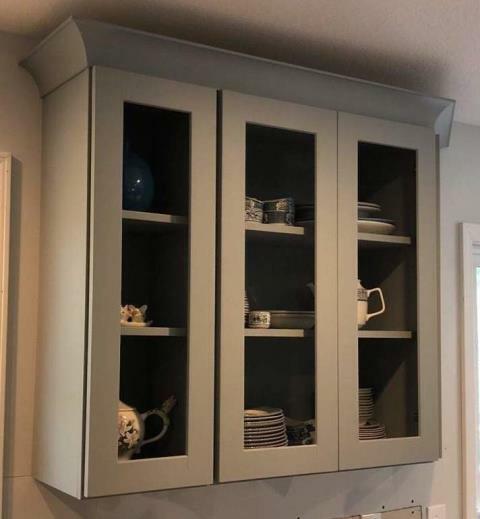 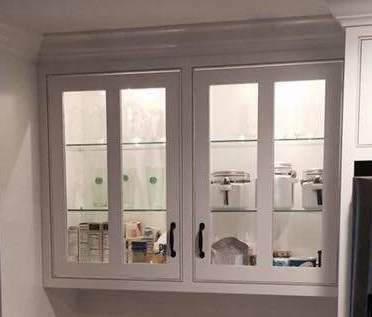 Cabinets with glass fronts are a nice alternative to a regular door. 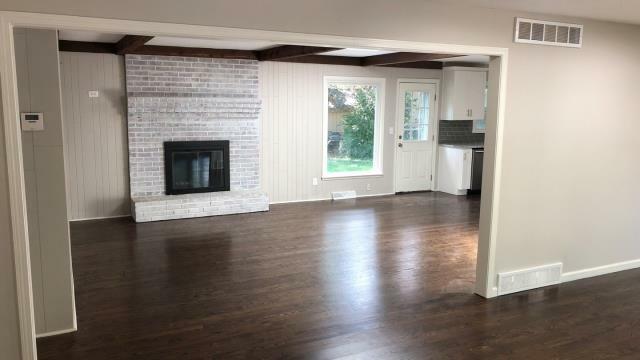 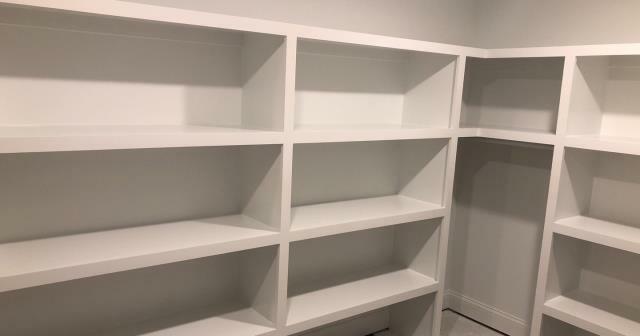 They add a nice touch to a room and give a more unique look. 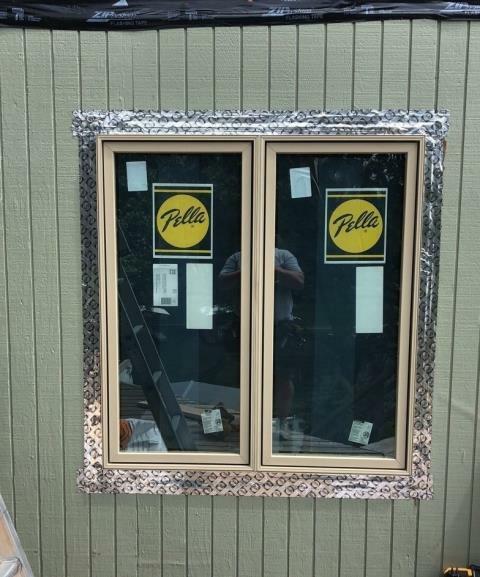  Pella windows provide only the highest quality products. 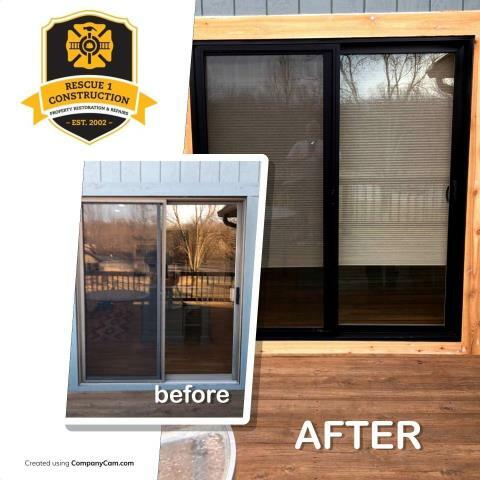 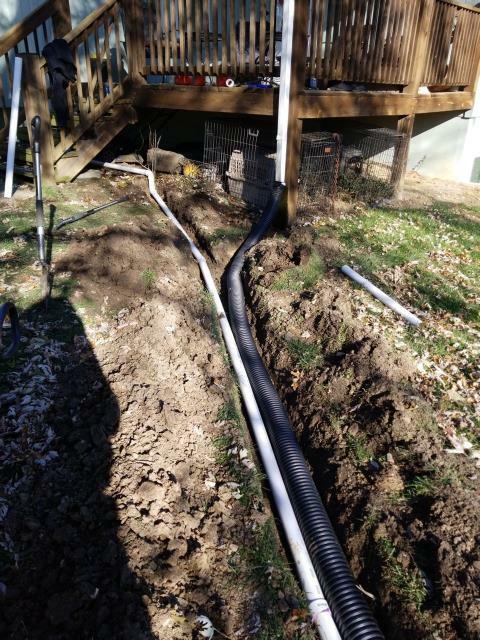 You won’t have to worry about heat or air conditioning leaking from new replacement windows. 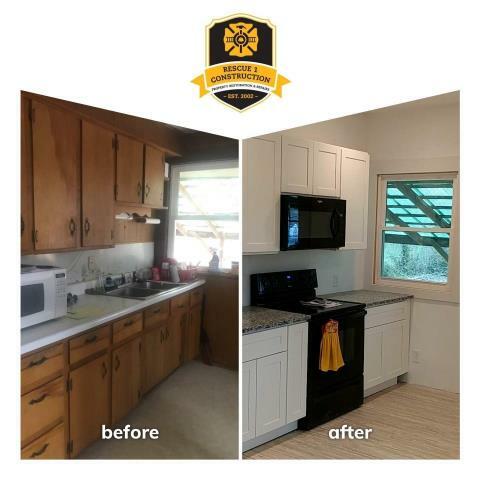 These energy-efficient windows will help maintain a comfortable temperature within the home. 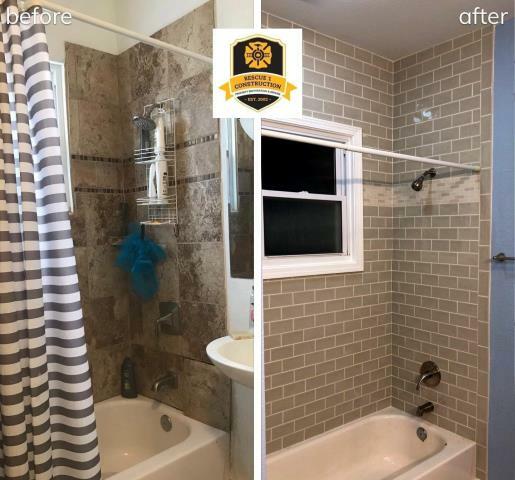 To upgrade your bath and also provide easy maintenance, add tiles to your walls. 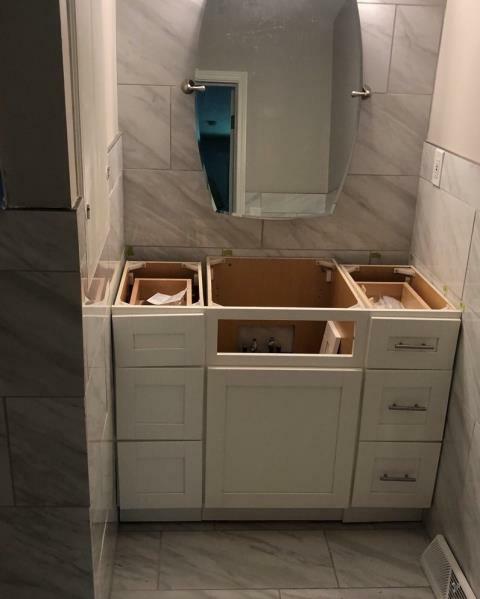 They are a beautiful addition to a new bathroom.